For LM to be inspired: and some of you know this tale. Two years ago, almost, I had an experience which some people in Europe have described as well. I call it a "mini-particular judgement". I have written about a person I knew and here is that story. I think some of us have been given a special grace to see the intense and amazing Purity of God. To be in the face of Pure Innocence and Goodness changed my life two years ago. It was like encountering a solid rock, immovable, strong, pure. But, one must be brave and be open to change. One must be brave enough to stand up to those who think one is being over-sensitive to sin. If you had experienced what I did, you would fear sin and death, without the Great Mercy of Christ. Which is part of the experience--the reason for the Crucifixion and Death of Our Lord. Following the judgement comes Mercy and Love. Nothing else matters except accepting His Love, which is so beyond anything we can imagine. Secondly, one must be willing to change, drastically, focussing on Christ and His Kingdom, focussing on God the Father, Who is All in All, and the Holy Spirit, Who is Love. What else matters? I did not ask for this grace and neither have others who have experienced God thus. Grace for a great sinner. I sin constantly. I fail myself and others. I insult God. I hope you are inspired, LM. God be with you always, and I shall pray for you especially today. May you live in God's Love. Bye, I am supposed to be on retreat! I hear so many people today say that they do not believe in Hell, because "a good God would not send anyone to such a place." Love without Justice is sentiment, not Love. I try to explain to such ladies and gentlemen that God is so Perfect, that one small indiscretion on our part is an affront to Purity Himself. God is Just, not as a human judge, but because He is All-Good and All-Loving. In the Face of Perfect Love, one sees one's limitations, failings imperfections, sins. Last year, I know a person who had such an experience of the Purity of God. In one purgatorial moment, in December of 2011, he experienced being in the Presence of Pure Goodness, Pure Innocence, and how the smallest transgression was like the worst sin in the proximity of God. This he experienced, and wept for his sin, for failing God. This was very much like the particular judgement, except that he did not die, and that he knew that if he said yes to suffering, he was saying yes to life, to love. 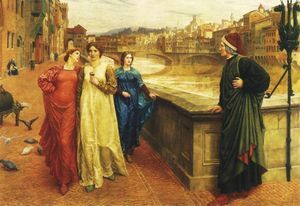 And, yet, experiencing Love, Who is God, had been through an other, his beloved friend, whom he wanted to marry, whom he had hurt rather inadvertently, which caused this moment of grace. This person said that his small imperfection, which many would think is not even a sin, caused him such grief in the Face of the Living Purity Who is God, that he sobbed for two and one-half hours. He felt two things and he knew two things: that God is all Just and that God is all Love. And, that if God did move the heart of his loved one to love him, it would be grace and not anything he deserved. He was, metaphorically, stripped naked in the Sight of God. All of his life and history was in the Will of God. He also understood that his one small imperfection merited hell, not merely purgatory, and that the Passion of Christ had taken away his own punishment. I do not know the end of the story. But, I am sure the man was changed forever. He does not mind that I share this with you. He thought, perhaps, that his moment of a glimpse of the particular judgement would help others understand the magnitude of the Love and Purity of God. This story, which is true, is amazing. That a man could see his imperfection, and in Love, in the Presence of God, still know that he could have been damned showed me that God's Justice is actually God's Love. Any other understanding is pure sentimentality and far from the teaching of the Church. On vineyards, onions and the necessity for personal holiness. The self is the soul. St. Bernard of Clairvaux, in his sermons on The Song of Songs, notes in the one entitled, “On the Mystical Vineyards” that there are two dangers for which the great author Solomon warns us. The first is for those who are in charge of other souls, the priests, bishops, abbots, mother superiors, parents. Now, he is referring to the authority given to him as abbot and the care he must take for the souls of his men. But, the danger is for one to become sterile in one’s own soul, while taking care of others. Here, he defines the vineyard as the soul. So, too for parents, this is a warning. Doing all the things which seem to be “present necessities” impinge upon the prayer lives of the family and the parents themselves. It is no good taking your children to all the extra-curricular activities or school, or going to many social activities, or watching television, or even doing good works, is the parents are not tending to their own souls. As a parent, I see how easy it is to lie to one’s self and say one is doing something for the kids, when in reality it is merely building up my own status in society or my own self-worth. Parents, the most important duty you have is not merely to pass on the Faith to your children, but to nurture a prayer life in each one. Bernard notes that St. Peter was made the First Pope because he became fearless, he became one who had Faith in Christ. Bernard also states this truism for today: “Yet, how many have rated of more worth than their won salvation a little of that vile thing we call money! St. Paul would not give such a preference even to his life. “Neither”, and here Bernard quotes Paul, “do I count myy life more precious than myself”. If we do not tend to our own soul assiduously, we cannot lead others to Christ. We become open to falseshoods and even, God forbid, heresies. We look for spiritual guides over than Christ and His Church. Give up your wills, dear parents and leaders and allow all the attractions of the flesh to be crucified, is the advice of Bernard. I see it in myself, if I do not have custody of the eyes. There are so many temptations. Just walk through Duty Free! If we lose our souls, we cannot govern ourselves and if we cannot govern ourselves, we cannot govern others. Why do parents give in to all the whims of their children, who want things and activities, but ignore the deep formation of their souls? Bernard states that luxury does not lead to wisdom of the soul. In fact, spurning luxury leads to wisdom of the soul. He has a sense of humour. Readers, if you are around people who talk only of material things, like vacations, diamonds, food, activities, choose other friends. Surround yourself with people who, like Bernard, see the need for the eyes of a spiritual soul. Do not think that these things do not affect your spiritual life. Bernard concludes this sermon with these words. 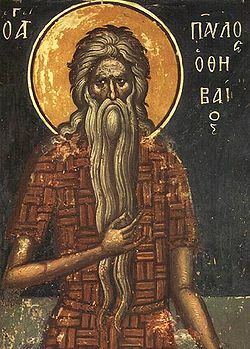 He exhorts all to die to self, and the visions of self, and the ideas of self, and when one has given one’s soul to Christ, given one’s free will and soul to Him, He will tend the vineyard. I am distressed at so many parents missing the point of family life by immersing themselves in business. Holiness demands prayer, silence, an atmosphere of belief and peace in the home. And, as I am back now in England, hello to cold and damp. Too bad there is no TLM here. I would like to thank the staff and management of the St. Julian's McDonald's for being so nice over the past weeks I have come in for tons of coffee, cheese cake, and brioches. I did pay for all my food, but as they got to know me, coming in to use the Internet on an almost daily basis, they warmed up to the strange "English lady" who took a very small table in a corner and typed away. Goodbye to Kristina, the singing waitress. She has a beautiful voice. And, she always has a smile. The coffee is especially good at the McCafe. Ciao-ciao. I do not know anything personal about those who write this blog, but check it out. A Dialogue Mass (Missa dialogata orMissa recitata) is a Tridentine Mass in which the people recite some parts of the Latin text. The Dialogue Mass was introduced by Pope Saint Pius X. He made a strong plea for active lay participation in the liturgy decades before the Second Vatican Council. In November 1922, the Holy See's Sacred Congregation of the Council gave approval to the practice whereby "at least in religious houses and institutions for youth, all people assisting at the Mass make the responses at the same time with the acolytes", a practice that it declared praiseworthy in view of the evident desire expressed in papal documents "to instil into the souls of the faithful a truly Christian and collective spirit, and prepare them for active participation." Further approval was granted by the Sacred Congregation of Rites on 30 November 1935, and on 3 September 1958. The Dialogue Mass never became popular in English-speaking countries, and current celebrations of Tridentine Mass in these countries are rarely structured as a Dialogue Mass. In other countries, especially in continental Europe, the Dialogue Mass met with a greater acceptance and, at times, is the almost exclusive version of the Low Mass. Since the promulgation of Summorum Pontificum, most of the Tridentine Masses in Malta were Dialogue Masses. This means therefore that people join with the altar servers in reciting the responses. In addition, the people are allowed to recite those parts of the Ordinary of the Mass that are sung by all at a Missa Cantatanamely the Gloria, Credo, Sanctus, and Agnus Dei. They also are allowed to recite with the priest the tripleDomine non sum dignus that he said as part of the rite of Communion of the faithful. 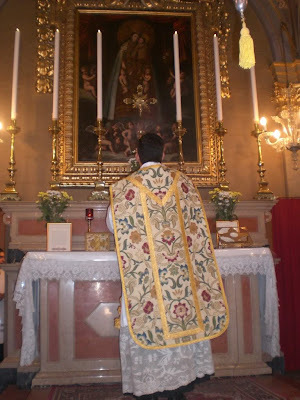 Therefore when people attend Tridentine Mass in Malta or abroad, it is useful to know beforehand whether the Mass will be a Dialogue one or not to avoid misunderstandings. I love this dish and my hostess made her version of it. Superb. This is the closest I could find on line. Yum. Credit to All Recipes on line below. "Enjoy this traditional recipe from Malta which makes a very flavorful sauce for octopus with potatoes, tomatoes, red wine and a hint of citrus that can be served over spaghetti, or just on its own. " 1. Place the octopus into a large pot and fill with enough lightly salted water to cover. Bring to a boil, and then simmer over medium heat until octopus is opaque, about 15 minutes. Drain and allow to cool slightly; cut into bite-size pieces. 2. Heat the olive oil in a large skillet over medium heat. Add the onion, garlic, mint leaves, curry powder and mixed spice; cook and stir until onion is soft. Season to taste with salt and pepper. Mix in the octopus pieces, wine, lemon zest and orange zest. Simmer for 3 to 4 minutes to blend the flavors, then stir in the tomatoes, tomato paste, peas, potatoes, olives and bay leaves. Cover and simmer over low heat until potatoes and octopus are tender, about 45 minutes. I am intrigued by the first hermit, ever, St. Paul. 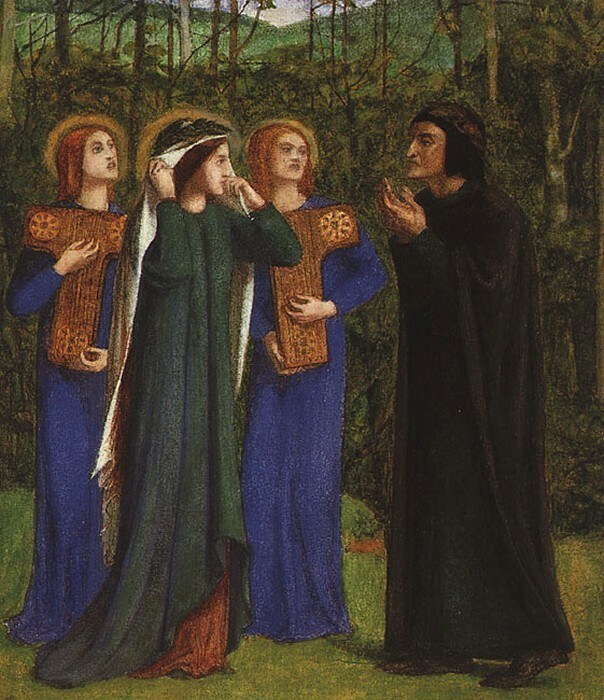 Now, St. Mary Magdalen is said to have gone off into the desert, but she is called a "Penitent" by the Church and not a hermit. She may have lived with or around others. St. Paul the Hermit is fascinating to me, as I am tempted after this visit to Malta, which is one of, if not the most, crowded country in the world, to go off into a desert somewhere. I am serious. There are many lives of St. Paul on line, but here is the one from the Catholic Encyclopaedia on line. When he was ninety St. Anthony was tempted to vain-glory, thinking he was the first to dwell in the desert. In obedience to avision he set forth to find his predecessor. On his road he met with a demon in the form of a centaur. Later on he spied a tiny old man with horns on his head. "Who are you?" asked Antony. "I am a corpse, one of those whom the heathen call satyrs, and by them were snared into idolatry." This is the Greek story (b) which makes both centaur and satyr unmistakably demons, one of which tries to terrify the saint, while the other acknowledges the overthrow of the gods. With St. Jerome the centaur may have been a demon; and may also have been "one of those monsters of which the desert is so prolific." At all events he tries to show the saint the way. As for the satyr he is a harmless little mortal deputed by his brethren to ask the saint's blessing. One asks, on the supposition that the Greek is the original, why St. Jerome changes devils into centaurs and satyrs. It is not surprising that stories of St. Anthony meeting fabulous beasts in his mysterious journey should spring up among people with whom belief in such creatures lingered on, as belief in fairies does to the present day. The stories of the meeting of St. Paul and St. Anthony, the raven who brought them bread, St. Anthony being sent to fetch the cloak given him by "Athanasius the bishop" to bury St.Paul's body in, St. Paul's death before he returned, the grave dug by lions, are among the familiar legends of the Life. It only remains to add that belief in the existence of St. Paul seems to have existed quite independently of the Life.